If you are looking for tools that make DIY projects and construction work easier, then the quality tools at Zona Tools are just what you need! With tools that can make precision cuts in all types of materials including wood, metal and plastic, Zona has the tools you need to complete your tool box. Zona Tools’ line of twist drills, with their chiseled edge and high thrust force, are powerful enough to be used on just about any material. The chiseled edge will go right through metal with ease, making drilling a simple and quick process. Our line of twist drills are the perfect tool for woodworking hobbies or getting a project around the house done. Our line of coping saws, with their extremely sharp and fine teeth are great for cutting most materials, but especially useful in woodworking projects. It’s ideal for making cut-outs in woodworking and carpentry work. A coping saw is different from a hacking saw since a coping saw will make a cut on a pull stroke, while the hacking saw has teeth which point away from the handle and will only make cuts during a push stroke. You can make a slight curve with a coping saw by turning the handle, giving you more options than making simple straight cuts. The woodworking saws and drill are ideal whether you are a hobbyist, woodworker, or DIY project enthusiast. There’s no minimum level of skill needed to operate these tools. They are straightforward, easy to understand and operate and experience and practice will increase your skill and ability. Each of our tools are made using only the highest quality materials to make sure you get a smooth cut every time. 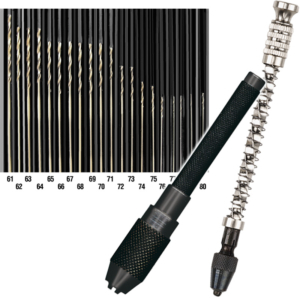 Order your twist drills or coping saws today and you’ll get reliable tools that will last you years.